Revolutionary Activism in Striated Spaces? Given the hierarchies, limitations, and power embedded in institutions such as schools, this paper examines whether an activist music education that occurs inside of school can be truly revolutionary. I draw upon Deleuze and Guattari’s (2005/1987)treatise on “Nomadology and the War Machine” as a conceptual framework for this philosophical paper, exploring the definition of revolutionary activism and the (im)possibility for “creative lines of flight” to be drawn in schools. I further introduce the elements of an activist music education, as put forward by 20 activist-musicians in a qualitative study, and offer three vignettes from a fictionalized activist music program. I draw upon the vignettes to problematize the possibility of revolutionary activism in schools, pointing to the complexities of educators as both State and non-State actors, the complications introduced in considering Bell’s (1995)principle of interest convergence, and the potential of an activist education to fall into microfascist behavior. In conclusion, I note the impossibility of engaging in truly revolutionary music education in schools. Given the hierarchies, limitations, and power embedded in institutions such as schools, this paper examines whether an activist music education that occurs inside of school can be truly revolutionary. I draw upon Deleuze and Guattari’s 2005/1987 treatise on “Nomadology and the War Machine” as a conceptual framework for this philosophical paper, exploring the definition of revolutionary activism and the (im)possibility for “creative lines of flight” to be drawn in schools. I further introduce the elements of an activist music education, as put forward by 20 activist-musicians in a qualitative study, and offer three vignettes from a fictionalized activist music program. I draw upon the vignettes to problematize the possibility of revolutionary activism in schools, pointing to the complexities of educators as both State and non-State actors, the complications introduced in considering Bell’s (1995) principle of interest convergence, and the potential of an activist education to fall into microfascist behavior. In conclusion, I note the impossibility of engaging in truly revolutionary music education in schools. The second semester of eighth grade general music is a focused songwriting program. Students work in small groups to create music that speaks to issues they care about, encouraged by their teacher to explore news stories and read deeply about their chosen topic. Melanie’s group of four works intensively on their selected subject—child abuse. Sean is gently strumming chords on guitar while Mandeep lays some loops down on a track on his school-issued iPad. Keisha and Melanie focus on lyrics, heads huddled together while Melanie records their work. Every fourth class, students hold a songwriting workshop that gives them the opportunity to share their work and receive feedback from their peers in a structured environment. Melanie, Mandeep, Keisha, and Sean present a work-in-progress during this week’s workshop. Melanie sings the verse—a verse that clearly describes a very real situation of abuse that is deeply personal. Unnerved, Jennifer, a second-year teacher, facilitates the usual feedback session after song sharing. After class, she speaks with the group and then with Melanie, upon learning that the song’s graphic description was her reality. In facilitating a space for songwriting about social justice issues, Jennifer wanted to create a space for students to speak to issues of great import to their lives. Encouraging them to do so, however, created a situation in which Jennifer needed to fulfill her obligation as a mandatory reporter. In the same songwriting class, four eighth grade boys—Aman, Jason, Tyrell, and Ahmed—collaborate on a song modeled after Kendrick Lamar’s style describing socioeconomic issues in their neighborhood. Their lyrics powerfully point to some of the systemic issues that have perpetuated the local poverty over the last several decades. The lyrics also use explicit language and extensive profanity. Jennifer circulates around the class and stops to listen to Tyrell rap a verse over a track produced by Ahmed and Jason. The third time that Tyrell uses profanity in the song, Jennifer glances nervously toward the door, wondering what the administration’s response would be to this explicit language. She feels her untenured teacher status in that moment and encourages the teens to find “school safe language” to express their ideas. She shakes her head as she moves to the next group, frustrated that she felt obliged to censor. The same songwriting program culminates with a “battle of the bands” with all of the musical groups in the seventh and eighth grade classes. An annual tradition, before Jennifer arrived, the friendly competition consisted of student groups performing cover songs. This year, students are performing original work. Adhering to tradition, three teachers judge the bands on the criteria outlined in a rubric. This year, the teachers include a fifth grade classroom teacher, the English Language Learning (ELL) teacher, and the eighth grade science teacher. Many groups perform; the music classes voted to select two groups from each class to represent their class in the wider school community. A seventh grade group performs a hip-hop song—a searing critique of school as an institution. The lyrics are an almost-Foucaultian critique of the idea that the purpose of schooling is to turn students into obedient subjects—what Foucault (1977) might call “docile bodies.” The song is brilliant; the performance and execution set it clearly apart from the other groups. At the end of the performance, students in the gymnasium burst into loud cheers and applause. At the conclusion of the event, the judges announce the winners—1st through 5th place. The hip-hop critique of school is not in the top five, although the outstanding nature of the song is clear to everyone in the gym. After the concert, Jennifer pulls the group into her classroom for a quick discussion. She asks the group to think about, given the professions and life’s work of the judges, why their critique of school as an institution could not win. While students understand in that moment that to validate their music would simultaneously invalidate the judges’ life’s work, it serves as little consolation. 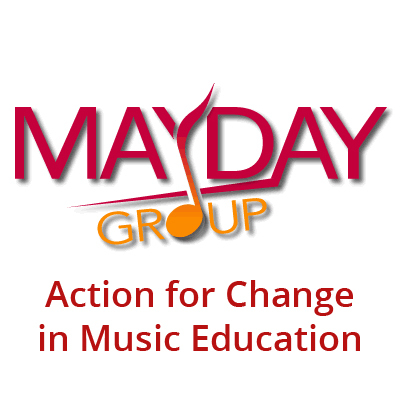 MayDay Group Action Ideal IV challenges music educators to consider and critique the manner and the consequences of the ways in which institutions affect the musical practices that take place in their spaces. In the turn toward social justice and equity in music education, I explore the possibility of a revolutionary activist music education in K-12 schooling. Given the hierarchies, limitations, and power embedded in institutions such as schools, this paper examines whether an activist music education that occurs inside of school can be truly revolutionary. I draw upon Deleuze and Guattari’s (2005/1987) treatise on “Nomadology and the War Machine” as a conceptual framework for this philosophical paper. This paper further examines the elements of an activist music education, as put forward by 20 activist-musicians in a qualitative study, in order to explore whether such a music education could be truly revolutionary in the school context. Deleuze and Guattari’s (2005/1987) treatise on nomadology and the war machine facilitate the consideration of the complexities of facilitating revolutionary work in what they call “striated space.” The final section of this paper focuses on the question and (im)possibility of actualizing such a music education inside of school, exploring concepts of educators as State and non-State actors, interest convergence (Bell 1995), and the potential of activism to be fascistic returning to these vignettes of a fictionalized activist music program. State apparatuses, including schools, look to regulate bodies. The war machine, conversely, operates in smooth space, not striated by the State apparatus. While the State apparatus and the war machine are in opposition, “their opposition is only relative; they function as a pair, in alternation, as though they expressed a division of the One or constituted in themselves a sovereign unity” (Deleuze and Guattari 2005/1987, 351). In opposing one another, the war machine can engage the State through any means without restriction, while the State is subject to its own rules to re-spond to the war machine. The war machine provokes the State to respond, but in resisting the war machine, the State often appropriates the war machine and responds in kind with almost a simulacrum. The State’s response to the war machine is thus often an appropriated version of the way the war machine opposed the State apparatus. While the State apparatus that striates space and the nomad that moves through smooth space are in opposition, they do not necessarily maintain a constant relationship. Rather, the nomad follows an internal logic, responding to needs. The nomadic war machine, however, engages the State, but does so without being obliged to follow the logic of the striated space regulated by the State apparatus. The operation of the State apparatus in striated space is thus fundamentally incompatible with the mobility and operation of the nomad. The institution of the school, as a State apparatus, must striate and regulate space. Revolutionary activism, conversely, often mobilizes in smooth space, responding to issues that arise through multiple tactics and strategies similarly to Deleuze and Guattari’s (2005/1987) war machine. The State apparatus engages in a number of functions. First and foremost, the State apparatus acts to conserve existing dominant power hierarchies, structures, and systems. Deleuze and Guattari (2005/1987) note that “the State is not defined by the existence of chiefs; it is defined by the perpetuation or conservation of organs of power. The concern of the State is to conserve” (357). In acting to conserve, the State apparatus perpetuates the status quo and the power relations inherent within it. In conceptualizing the institution of school as a State apparatus, we might consider the school’s role in social reproduction and conserving existing power structures and relations. Here, Bar-On Cohen (2011) likens the process of striation to constricting and, indeed, choking. Striation, then, is not solely regulatory. It can, in fact, be violent through its regulating and striating function. She further notes that “when the striated and the organic clash—either to curtail intentionality and cause people’s lives to veer into other directions, or within events of organicity—the violence is not ‘symbolic’ but rather purely somatic and emotional” (261). This clash, in other words, has material effects. Bar-On Cohen provides two ethnographic examples in her paper. Her second example describes the process of Holocaust survivors being asked to share their stories of persecution in ways compatible with Holocaust education narratives. Rather than share their stories in a manner organic and congruent with their experiences, the State apparatus regulates their stories so that they might serve a purpose. In exploring the State apparatus and its relation to both the nomad and the war machine, it is important to consider the ways in which regulation might “choke” and restrict creative forces and ideas. Upon appropriating the war machine then, the State regulates it. Under the pressures (and, perhaps, habits) of striation, the State regulates the creative responses it captures. In a school context, this process might involve creating school-sanctioned versions of creative ideas “captured” from the exterior (Deleuze and Guattari 2005/1987). These three-fold functions of the State apparatus—to conserve existing power structures and relations, to striate space, and to appropriate strategies from the nomadic war machine—serve to regulate any outside forces encountered. School, as an apparatus of the State, is also implicated in processes of conservation or reproduction, striation, regulation, and appropriation. Operating in smooth space without striation, the war machine may follow a line of flight that critiques and challenges the State apparatus from the outside. In the context of schooling, a nomadic war machine may resist standardization and striation and devise responses to the “conserving” and reproductive function of the State apparatus that may make new conditions possible. The clash is between the nomadic war machine and striated space. The clash produces action—usually, according to Deleuze and Guattari (2005/1987), an appropriation by the State. The State apparatus and the war machine have interesting implications when considering a revolutionary activist music education. In its ideal form, grassroots revolutionary activism operates in “smooth space.” It is nomadic and free to develop what Gould (2009) identifies as “creative responses to material problems” (132). When revolutionary activism and an activist music education takes place within the schools, the mechanisms and restrictions of school regulate what it can be and “creative responses” perhaps become less possible than in the “smooth space” outside of the striations of the school. In considering activism as a nomadic effort, what happens when activism is taken into the striated space of school music education? In conceptualizing a possible activist music education in schools, I first consider the role and function of schooling. Schools, in their current form, often serve as sites of social reproduction (Bourdieu 1973, Bourdieu and Passeron 1990, Lareau 2011, Apple 2004, Anyon 1981, Bourdieu 1977). Operating to reinscribe current social relations, schools simultaneously reproduce the “structure of the distribution of cultural capital among classes” (Bourdieu 1977, 493). In a startling study, Anyon (1981) explored conceptions of knowledge in five New Jersey schools in the early 1980s. Her study included two working class schools, one middle class school, one affluent professional school, and one executive elite school. Students in the working class schools believed knowledge was predetermined and given, while students in wealthier schools believed it was possible to produce knowledge. While students in the working class schools overwhelmingly did not perceive they could have any job they wanted when they grew up, students in more affluent schools and the executive elite school in particular did not see any limits placed on their future. The curriculum taught in all five schools reinforced these beliefs. Anyon’s study empirically supports Bourdieu’s assertion of the reproductive function of education as the education offered by each school worked to reinscribe current class status of all students in the study. In settings less segregated by class and race, in which students of diverse socioeconomic backgrounds intermingle, Wright (2010/2016) still notes a distinct limitation on social mobility in the United Kingdom and urges us to question the notion of the meritocracy. As a means of social reproduction, Apple (2004) argues that schools “work” for a very specific population; “inequalities are reinforced and reproduced by schools” (61). If schools perpetuate social reproduction, is it possible for schools to house an activist music education that privileges social critique and radical resistance? Drawing upon Deleuze and Guattari, school, as a site of social reproduction, operates as a State apparatus. The institution of school functions in striated space, and striates the space it encounters, regulating everything in its wake. In operating as a site of social reproduction, school functions to conserve the status quo (Deleuze and Guattari 2005/1987, 357) through reproducing classed and raced systems, and striate any unregulated space. In further seeking to appropriate, school music education, for example, may appropriate musical practices from the outside such as youth’s engagements with vernacular music. Adopting or appropriating vernacular musical practices into school contexts, however, results in what I elsewhere call the “‘not quite’ edition” (Hess 2014, 235). I argue that this “institutionalised music education aims to meet the needs of the students, but in selecting activities in which these same students engage in different circumstances, it offers a changed and regulated version—a simulacrum at best” (235). Subject to national standards, state and national policies, and local administration, the school cannot freely operate in smooth space, but must striate what it encounters to comply with larger forces at play. In a general sense, to engage in activism is to in some way work for social change. As such, activism requires an imaginative or creative element—the ability to understand ourselves as other than we are. More specifically, activism involves the determined intervention into the normative processes and practices that govern the world in which we live. As a practice of intervention, activism necessarily remains grounded in the realm of the material; activist practices are material practices. Through activism one might seek to generate new meanings, new ways of considering and engaging within the world. Activism, then, potentially disrupts the status quo to make something else possible. Materialism is a key element of activism for Kuntz and one important to defining activism in education contexts. They further argue that some sort of underlying conflict is the defining characteristic of activism. Importantly, however, they acknowledge that activism does not always defy or undermine the status quo, noting that “much activism has been carried out in support of ruling elites and structures of power that are perceived as being under threat from other activists” (4). In its focus on power structures, activism, they argue, centers public as opposed to private interests (4). Moreover, they note the complexity of defining activism in terms of non-state actors, acknowledging the relativity of autonomy and the impossibility of complete freedom from state control—a point important to the context of education. More specifically, she defines activism as “intentional participation in the political act designed to remedy a social injustice” (24), citing intention as key to defining a person as an activist. In synthesizing these four definitions, I put forward the following definition of activism for the purposes of this paper. Grounded in materiality, activism pushes toward social change (Kuntz 2015). Following Piper and Uhlin, activism arises from conflict, opposes or sustains power structures, centers public interests, typically involves non-state actors, and takes place outside of political arenas. As a scholar, I am more interested in activism that resists oppressive structures than activism to sustain the power structures that support ruling elites and I center the former oppositional focus of activism in this work. Activism is also intentional (Lopez 2016); it purposefully catalyzes toward social change and social transformation and challenges inequality and social injustice. Moreover, activism works to create a counternarrative to dominant discourse (Fuad-Luke 2009), and the counternarrative is important in the context of the arts specifically. While Fuad-Luke’s (2009) work is in the context of design, music also creates profound opportunities for counternarratives (Hess 2018). In considering this definition, however, I recognize the potential of the aforementioned activism to be in service to capitalist heteropatriarchy or Christian fundamentalism. Neoliberalism, for example, began as a counternarrative and became dominant discourse (Chun 2018, online first), perpetuating raced and classed hierarchies through mechanisms such as the notion of the meritocracy. Dyndahl (2015) highlights the manner in which activism in music education research has, in some ways, become a new hegemonic research paradigm. He describes “cultural omnivorousness” and “musical gentrification”—processes in which engagement with diversity serves as academic capital and musics, musical practices, and musical cultures of “lower status” become of use to academia (22–3). We might question whose social injustices and “harms” this activism seeks to remedy. I therefore add the word revolutionary to this definition of activism to clarify its radical, transformative nature. The type of injustice I wish to address in invoking this term relies upon Vaugeois’ (2009) definition of social justice as “the work of undoing structures that produce raced and gendered oppressions and systemic poverty as well as the work of challenging discourses that rationalize these structures” (3). Revolutionary activism, for the purposes of this paper, targets structures and systems that oppress minoritized bodies and works to transform them. Given this definition of activism, I explore whether a revolutionary activist music education is a genuine possibility in schools. Revolutionary Activism in Schools: A Philosophical Impossibility? My recent work explores the construction of an activist music education in PK–12 education drawing upon the philosophies and practices of 20 activist-musicians—individuals who do both activist and musical work, often simultaneously. A key question I asked in interviewing these activist-musicians encouraged them to think about, given their current activist music-making, what they would have liked to have had in their own public school programs. Pedagogically, participants perceived that an activist music education draws on a number of key elements. Activist music educators cater to the specific local context of the school and community. In doing so, they provide ways for youth to see themselves represented in the curriculum through including their voices in all or most curricular choices, thus drawing an explicit relationship between youth and curriculum. Activist music educators will also find ways to actively address oppression in the classroom both through music and through issues and conditions that affect youth. Moreover, they will foster critical thinking both through active critique of the world that surrounds the youth they teach and through the critique of music encountered inside and outside of the classroom. Addressing oppression explicitly and facilitating critical thinking connect youth directly to the world around them. The deep contextualization of all classroom music used in ways that are both sociohistorical and sociopolitical is crucial to an activist music program. This type of contextualization highlights the relationship between musics and their local and global contexts. An activist music education is also interdisciplinary and locates youth at their own cultural centers and extends from there. It connects to other subjects, including the arts, history, social sciences, and philosophy. Highlighting the connections between youth themselves, an activist music education also teaches for ensemble as togetherness and fosters positive and mutually supportive learning environments. Importantly, every facet of the activist music education highlights a relationship between self, others, the global context, and curriculum. These tenets of an activist music education pedagogy align well with the ideas of critical pedagogy as initially imagined by Freire (2000/1970) and extended and challenged by other scholars and by Freire himself since the initial time of writing. Ideas of a culturally responsive context-based education (Gay 2010, Lind, and McKoy 2016) point to the importance of drawing on youth’s own experiences to shape education, much in the manner that a problem-posing education (Freire 2000/1970) encourages the community to look first to themselves. Employing music as a medium to challenge oppression directly and to think critically speaks to the essence of “naming the world” and a dialogical education. Using music to heighten consciousness about local and global issues and as a site to problematize oppressive content contributes to the conscientization of youth participants. Contextualizing all musics and drawing relationships between subjects facilitates critical thinking about curricula and allows for relational teaching that exposes power relations. The notions of ensemble and creating a mutually supportive space again speak to the type of environment necessary for authentic dialogue, alongside the ethic of care (O’Brien 2011) crucial for any educational environment. In considering what these activist-musicians put forward as possible tenets of an activist music education alongside Deleuze and Guattari’s work on the war machine, I question whether it is possible for an activist music education to be truly revolutionary in a school context. Is it a philosophical, political, and material contradiction to expect any kind of radical exterior challenge to a State apparatus to take place within a State apparatus itself? Can youth in school music programs draw creative lines of flight to deterritorialize striated space and radically engage issues of interest in striated space? Are they restricted in what they can engage to interests that converge (Bell 1995) with those of the school as a State apparatus? I shared the three vignettes at the beginning of this paper to explore the stickiness of activism in the schools. I argue that facilitating an activist music education often comes to rub up against the institution in ways that prevent the nomadic movement of the war machine. Smooth space encounters striation, and it becomes impossible to fully follow creative lines of flight, except perhaps when interests converge (Bell 1995). I draw upon the vignettes to problematize the possibility of activism in schools, pointing to the complexities of educators as both State and non-State actors, the complications introduced in considering Bell’s (1995) principle of interest convergence, and the potential of an activist education to fall into microfascist behavior. The teachers in both Kallio’s (2015) study and Ericsson and Lindgren’s (2011) research reveal the complexities of teachers striving to navigate competing forces and desires within the school context. In the vignettes included in this article, despite Jennifer’s efforts to create a smooth space, students’ songwriting was subject to State regulation. Jennifer’s role as an actor becomes confusing in the context of initiating revolutionary work in a school context. Piper and Uhlin (2004) define activism as involving non-State actors, acknowledging the complexity and slipperiness of State and non-State actors given the relativity of autonomy and the impossibility of complete freedom from State control. Jennifer attempts in this songwriting class to embody her non-State actor self. She wants students in her class to speak to issues that are important to them. In these instances, however, it proves impossible for her to function as a non-State actor. In the first vignette, the State obliges her to report abuse, regardless of the effect on the student. Her State actor self supersedes her desire to function in the radical exterior. As a teacher in a system, she is always already obliged to follow certain State mandates. She is subject to striation and must perpetuate striation herself at times, negating the possibility of initiating a truly revolutionary music education. In raising this issue, I note that I support mandatory reporting and unequivocally do not advocate in any way for educators not to report. The discourse about mandatory reporting, however, often does not acknowledge the complexity of the effects on the student. Bell’s (1995) work may help elucidate precisely when activism in school music education may become possible. Drawing on the case of Brown v. Board of Education, Bell (1995) puts forward what he describes as the “interest convergence dilemma”—a dilemma that describes a racial phenomenon wherein White people only work to further the rights of Black people when it serves their own interests. This interest convergence principle may also apply to the (im)possibility of revolutionary activism in school (or State) contexts. In these three vignettes, students’ work diverged from the regulations set forward in the school and were thus restricted. One could imagine a situation, however, in which interests converge. In a school that is very eco-conscious, for example, student ecological activism in similar music education contexts may be warmly welcomed, supported, and showcased in the community. In such a case, the interests of the institutions converge with the interests of the student activists. Existing in striated space may also prove easier in such instances, as the underlying conflict is not between the institution (or State apparatus) and student activists (or war machine), but rather between the united institution and students against a larger issue. When activists’ interests diverge from the institution, however, perhaps moving from eco-consciousness to a critique of pipelines, for example, the striated space quickly regulates students’ actions and restricts activism to the school-sanctioned version or the “‘not quite’ edition” (Hess 2014, 235). In considering the notion of creative lines of flight as inherent to revolutionary activist moves to catalyze change, the acceptability of this type of activism in school contexts only through the principle of interest convergence intensely inhibits “creative responses to material problems” (Gould 2009, 132) to school-sanctioned responses to school-identified material problems. Likened to the war machine, revolutionary activism requires freedom to engage dominant power structures and deterritorialize them. When activism in school contexts can only resist problems identified as problems by the institution itself, it does not necessarily embody the definition of activism as a catalyst of social change identified by non-State actors, as the State severely limits its actions. In requiring interest convergence as a principle for activism in the school, revolutionary activism contradicts its own definition. Coupled with the notion of creative lines of flight intrinsic to the operation of the war machine, activism subject to interest convergence is firmly restricted in the lines of flight it can draw. There is a further danger when the institution appropriates revolutionary activism—an exterior action—into the institutional (State) context. When activism becomes the curriculum, as in the case of Jennifer’s songwriting program that encouraged students to speak to issues important to their lives, what is the risk of fascism? Wallin (2014) notes that a “supple line might always fall back into new microfascist behaviours” (132). Outside of government contexts, the Oxford Dictionary defines fascism as “extreme authoritarian, oppressive, or intolerant views or practices.” Movement is dictated, rather than creative. Obliging students to speak to current issues that shape their lives, while perhaps seemingly innocuous, may enact just as stringent and authoritarian an agenda as a music curriculum that centers Western classical music and Western standard notation. Dissent from a revolutionary musical agenda may not be any more possible than dissent from ensemble-based instruction. When teachers initiate revolutionary activism in the striated space of the institution, activism itself may become striated. In a regulated version of activism, without room to move nomadically, revolution may too become dogma and authoritarian and inhibit any creative lines of flight. In likening revolutionary activism to the actions of the war machine, similar to the notion of school activism as interest convergence, school activism as dogma also lacks revolutionary qualities, as it effectively operates within a new, complex striation, subject to rules of engagement antithetical to the war machine. With social justice ideals taking a more central place in music education scholarship and practice (Benedict et al. 2015, Gould et al. 2009), teachers may feel the urge to implement an activist or social justice agenda in their music classrooms. In striving towards activism in school, however, it may be easy to simply view activism as the antidote to oppressive discourses and power structures that impinge on students’ lives and education and implement activist ideals without engaging them critically. Activism, in fact, should never be dogma. It must always be thoughtful—like the war machine, ever adapting and shifting according to the ever-changing terrain. A curriculum cannot simply be revolutionary; it must be revolutionary in relation (and always in relation) to the larger oppressive power structures at play. Ever-shifting in smooth space, any move to striate revolution into a strict curriculum may easily become dogmatic—a supple line perhaps reinscribing microfascist behaviors (Wallin 2014). As productive as the conversations about social justice work in music education are (see, for example, Benedict et al. 2015, Gould et al. 2009), there is an ever present danger that social justice agendas in music education may, in fact, become a strict ideology that fails to allow for opposition or dissent, thus aligning with the definition of fascism. Any revolutionary work in schools must thus avoid dogma and allow room for multiple narratives. A fascist implementation of a revolutionary activist curriculum is no less striated than any striated curriculum or space and fails to allow for the “creative lines of flight” so essential to Deleuzian deterritorialization. Given the complexity of nomadic revolutionary activism entering the State apparatus of the school coupled with the possible danger of reproducing fascistic relations, a revolutionary music education is perhaps philosophically, politically, and materially impossible in schools. The ideas put forward by activist-musicians, however—critical thinking, addressing oppression, building community, drawing on lived experiences, “naming the world”—are skills that students could apply to be activist and radical in their everyday lives either presently or in the future. Learning to think critically, for example, positions students to engage the world around them, perhaps setting the conditions for revolution. Rather than obliging students to take a revolutionary stance, an activist music education may instead focus on setting the conditions for future revolutionary activism, so that students might later initiate their own creative lines of flight or “leap into the unexplored” (Juntunen et al. 2014). Learning to value their own lived experiences and critiquing the world around them in school music allows students to become radical activists in ways that fulfill their own needs—perhaps just not in schools. Revolutionary activism, as defined, becomes complicated in school music. Teachers walk a complex line between State and non-State actors, but are ultimately obliged to take on the role of a State actor due to the striated restrictions of the institution of the school. If activism truly involves non-State actors, the manner in which the striated space of school requires teachers to embody the State actor severely inhibits any possibility of revolutionary activism. The notion that such activism may only take place in school when activist interests converge with those of the institution further suggests the impossibility of (or at least a restricted version of) an activist music education in schools. In teaching students to think critically, however, educators might challenge students to identify the manner in which this interest convergence operates in a way that facilitates students to then recognize these kinds of tactics in their lives beyond school. Moreover, in considering the potential for fascism and microfascism, it is important to note that any activism engaged in the school context cannot be dogmatic; rather, it must be intentional, thoughtful, and anti-oppressive. Reid (2003) asserts that “[r]ather than conceptualising resistance as occurring exterior to and in antagonism with the strategies of power, it is necessary to conceive resistance as acting to produce changes from within” (73). While expecting a revolutionary activist music education to take place within school music may be impossible, school music may, in fact, begin the process of producing changes from within through facilitating critique and creativity. In doing so, an activist music education may set the conditions for work that dismantles oppressive power structures and strives to tell a different story than the master narrative of dominant discourse. In desiring revolutionary activism as war machine, we must, as educators, recognize the complexities and impossibilities of such enactment in schools. We might, however, be satisfied with engaging in school music to instead set the conditions for revolution, helping students think deeply and critically, preparing for their own creative lines of flight. Anyon, Jean. 1981. Social class and school knowledge. Curriculum Inquiry 11 (1): 3–42. Apple, Michael. 2004. Ideology and curriculum. New York, NY: Routledge Falmer. Bar-On Cohen, Einat. 2011. Events of organicity: The state abducts the war machine. Anthropological Theory 11 (3): 259–82. doi: 10.1177/1463499611416719. Bell, Derrick. 1995. Brown v. Board of Education and the interest convergence dilemma. In Critical race theory: The key writings that formed the movement, 20–29. Benedict, Cathy, Patrick K. Schmidt, Gary Spruce, and Paul G. Woodford, eds. 2015. The Oxford handbook of social justice in music education. New York: Oxford University Press. Bonta, Mark, and John Protevi. 2004. Deleuze and geophilosophy: A guide and glossary. Edinburgh: Edinburgh University Press. Bourdieu, Pierre. 1973. Cultural reproduction and social reproduction. In Knowledge, education, and social change: Papers in the sociology of education, edited by Richard Brown, 71–112. London: Tavistock Publications. Bourdieu, Pierre. 1977. Cultural reproduction and social reproduction. In Power and ideology in education, edited by Jerome Karabel and A. H. Halsey, 487–510. Oxford, UK: Oxford University Press. Bourdieu, Pierre, and Jean-Claude Passeron. 1990. Reproduction in education, society and culture. London: Sage Publications. Chun, Christian W. 2018, online first. Neoliberalism, globalization and critical discourse studies. In The Routledge handbook of critical discourse studies, edited by John Flowerdew and John E. Richardson, 421–33. New York, NY: Routledge. Deleuze, Gilles, and Félix Guattari. 2005/1987. A thousand plateaus: Capitalism and schizophrenia. Translated by Braian Massumi. Minneapolis, MN: University of Minnesota Press. Delpit, Lisa D. 1995/2006. Other people’s children: Cultural conflict in the classroom. New York, NY: The New Press. Dyndahl, Petter. 2015. Academisation as activism? Some paradoxes. The Finnish Journal of Music Education (FJME) 18: 20–32. Ericsson, Claes, and Monica Lindgren. 2011. The conditions for establishment of an ideological dilemma: Antagonistic discourses and over-determined identity in school music teaching. Discourse: Studies in the Cultural Politics of Education 32 (5): 713–28. doi: 10.1080/01596306.2011.620754. Fuad-Luke, Alastair. 2009. Design activism: Beautiful strangeness for a sustainable world. Sterling, VA: Earthscan. Gay, Geneva. 2010. Culturally responsive teaching: Theory, research, and practice. Edited by James A. Banks. 2nd ed, Multicultural Education Series. New York, NY: Teachers College Press. Gould, Elizabeth. 2009. Women working in music education: The war machine. Philosophy of Music Education Review 17 (2):126–43. Gould, Elizabeth, June Countryman, Charlene Morton, and Leslie Stewart Rose, eds. 2009. Exploring social justice: How music education might matter. Edited by Lee Bartel, Research to practice.Toronto, ON: Canadian Music Educators’ Association/L’Association canadienne des musiciens éducateurs. Handelman, D. 2004. Nationalism and the Israeli state: Bureaucratic logic in public event. Oxford, U.K.: Berg. Hess, Juliet. 2014. Radical musicking: Toward a pedagogy of social change. Music Education Research 16 (3): 229–50. doi: 10.1080/14613808.2014. Juntunen, Marja-Leena, Sidsel Karlsen, Anna Kuoppamäki, Tuulikki Laes, and Sari Muhonen. 2014. Envisioning imaginary spaces for musicking: Equipping students for leaping into the unexplored. Music Education Research 16 (3): 251–66. doi: 10.1080/14613808.2014.899333. Kallio, Alexis Anja. 2015. Drawing a line in water: Constructing the school censorship frame in popular music education. International Journal of Music Education 33 (2): 195–209. Kuntz, Aaron M. 2015. The responsible methodologist: Inquiry, truth-telling, and social justice. Walnut Creek, CA: Left Coast Press. Lareau, Annette. 2011. Unequal childhoods: Class, race, and family life. Berkeley, CA: University of California Press. Lopez, Lori Kido. 2016. Asian American media activism: Fighting for cultural citizenship. New York, NY: New York University Press. O’Brien, Maeve. 2011. Towards a pedagogy of care and well-being: Restoring the vocation of becoming human through dialogue and relationality. In Pedagogy, oppression and transformation in a ‘post-critical’ climate: The return to Freirian thinking, edited by Andrew O’Shea and Maeve O’Brien, 14–35. New York, NY: Continuum. Piper, Nicola, and Anders Uhlin. 2004. New perspectives on transnational activism. In Transnational activism in Asia, edited by Nicola Piper and Anders Uhlin, 1–25. New York, NY: Routledge. Reid, Julian. 2003. Deleuze’s war machine: Nomadism against the State. Millenium: Journal of International Studies 32 (1): 57–85. Sibertin-Blanc, Guillaume, and Daniel Richter. 2010. The War Machine, the formula and the hypothesis: Deleuze and Guattari as readers of Clausewitz. Theory and Event 13 (3). doi: 10.1353/tae.2010.0012. Leslie Stewart Rose, 2–22. Toronto, ON: Canadian Music Educators’ Association. Wallin, Jason. 2014. Education needs to get a grip on life. In Deleuze & Guattari, politics and education: For a people yet-to-come, edited by Matthew Carlin and Jason Wallin, 117–139. New York, NY: Bloomsbury. Wright, Ruth. 2016/2010. Democracy, social exclusion and music education: Possibilites for change. In Sociology and music education, edited by Ruth Wright, 263–81. New York, NY: Routledge. Bonta and Protevi (2004) provide the following definition for Deleuze and Guattari’s ecumenon: “the abstract machine as it composes a stratum, as opposed to the Planomenon of the plane of consistency (49–50; 56; 73). Although the Ecumenon composes the ‘unity of composition’ of a stratum by establishing ‘the identity of [exterior] molecular materials, [interior] substantial elements, and formal relations [limits or membranes]’, it is never unitary, but is broken by the diversity of epistrata and parastrata (52; 73). The ecumenon or universal reach of a religious body, for example, has an interior that contains the converted, an exterior consisting of the unconverted, and a border or membrane whereby the religion both protects its own integrity and projects its messages; missionaries are border patrols in search of converts by force of word or deed. But this unity is broken by the diversity of epistrata (different internal steady states or organizational nuances: ecclesiastical heresy) and parastrata (different affects, or capacities for becomings when encountering other assemblages: ‘syncretism’, doctrinal heresy)” (81). This idea is reminiscent of Lorde’s (1984/2007) notion that the “master’s tools will never dismantle the master’s house.” Significantly, Delpit (1995/2006) argues quite the opposite perspective—that educators are responsible for providing the master’s tools to marginalized individuals to navigate and engage the system. I note here that activism and social justice are not synonymous. Social justice is a slippery term, rarely defined in the literature. It is taken up regularly through both critical and liberal frameworks. In the context of research, Dyndahl (2015) underscores ways in which activist music education research has become a new hegemony. Juntunen et al. (2014) similarly examine the manner in which teachers may prepare students to “leap into the unexplored” through carefully attending to and centering the strengths of the students. They provide several examples of individuals and groups engaged in diverse and interesting musical endeavors in the community and explore what it might look like to create a curriculum which would draw upon these students’ strengths or set up the possibilities for youth with similar strengths to the community musicians profiled in the article to find their way in school music.